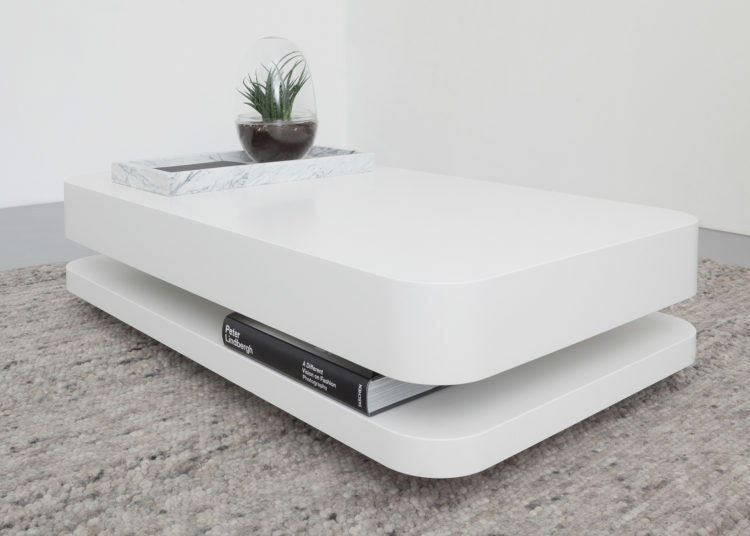 This unique design coffee table appears that one element is floating above the other. 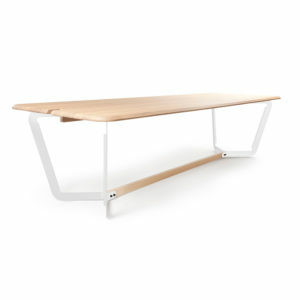 The sleek and technically constructed design fits effortlessly in a contemporary modern interior. 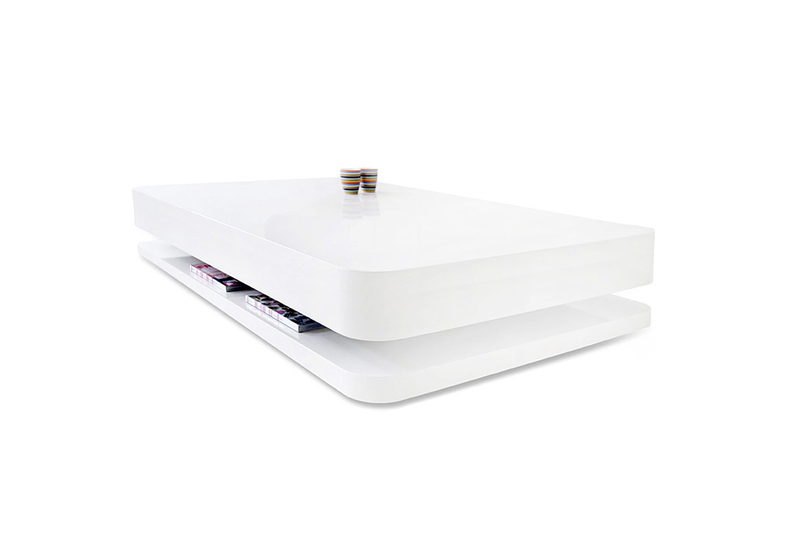 The space between the elements can be used for the storage of magazines. 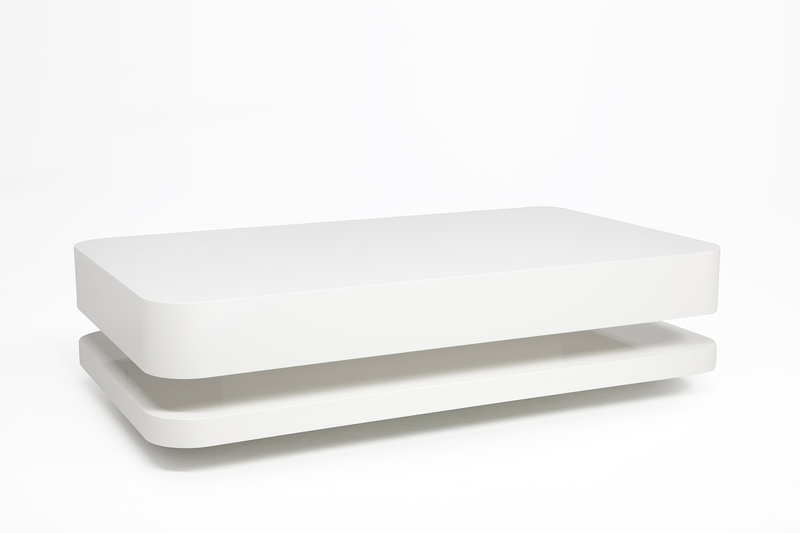 The RKNL20 is constructed from high grade MDF and can be finished in either high or satin gloss. 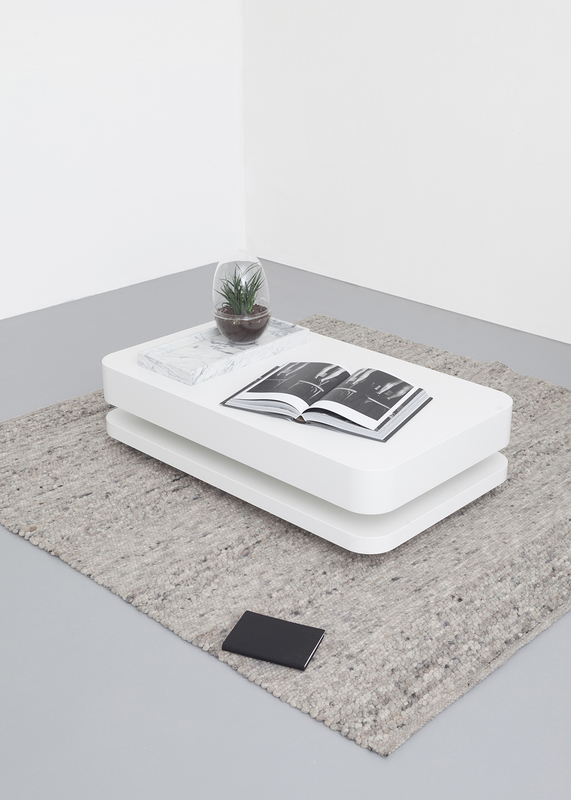 The coffee table is available in two sizes and two shades of white. 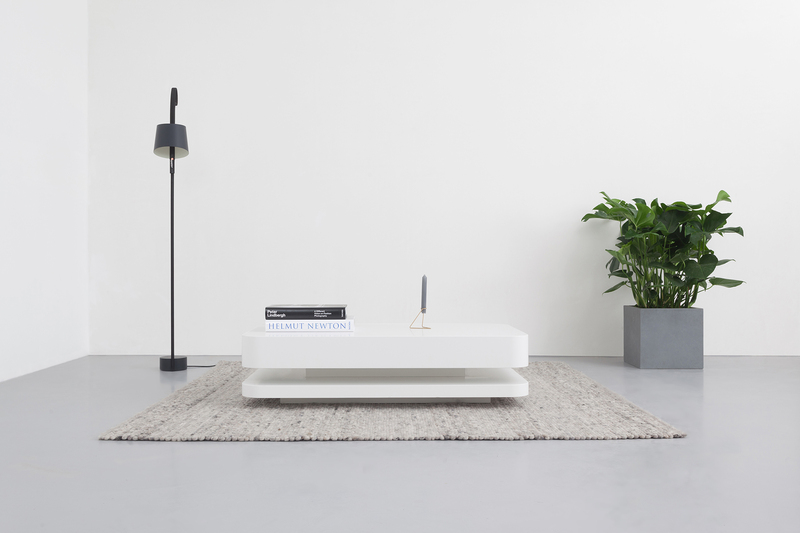 The RKNL20 coffee table is made of high quality MDF with curved corners. 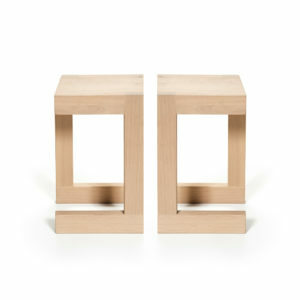 The curved parts are made with bent beech wood. 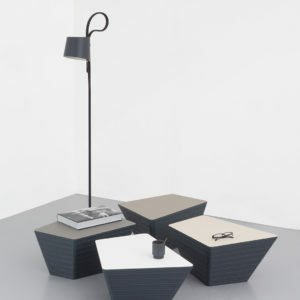 The use of these materials gives the coffee table a solid appearance. The high quality finish ensures a refined look. The depth of the space between the two elements is a little bit larger than an A4 size paper. Magazines and small decorations fit in perfectly.